The inception of Centre for Social Research has been the most memorable and challenging tenure of my life. From having a routine of planned lectures as a professor and a room full of students; my life changed to an empty room that I would clean every day and tell myself, “This is where gender will be discussed.” A small team of people who were willing to work with me on the cause and the will to drive in some definite changes has brought us where we are today. Today when I labor through my mails, make appointments, write back, rewrite schedules, mobilize my team to events and issues, plan meetings and review projects, my zeal and energy remains the same that I had while I was pursuing my Doctorate in Political Science from JNU. And I feel that this is what keeps me going. Many a times I was told, “Why gender? This is India. The change you are seeking will not come through. This is a way of life that people have learnt to live with, walk over, circumvent and ignore.” In activism, one always has to decide whether one wants to institutionalize it or wants to stage stand-alone voluntary action to demonstrate change. I was constantly asking existential questions alongside my fight to survive and make a difference. I knew there was something rotting at the back-alleys of social psyche. The stench was permeating the air and was soon becoming synonymous with what people think India was. Instead of cleaning the rot, people were telling me to perfume the air. But that doesn’t work. So,I rolled up my sleeves and got down to work. Yes they did. I too, evolved with time. My team has seen me through everything. I always made it a habit that keeps my head above the waters, by reading voraciously. I read everything I could lay my hands on. My all-time favorite are biographies because perseverance, sang-froid in trying times and the sense of prevailing justice, gives me hope and buffets my heart like nothing else. Centre for Social Research is not just a reputed organization which has created feminists. It is a journey which has been successful inspite of the skepticism and critique it has received. Having said that, it is humbling to realize that we are still struggling with issues, I started my journey 30 years ago. A road it was and a road it will always be. 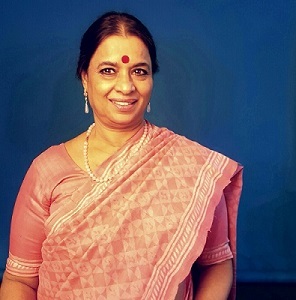 A renowned social activist and a prolific academician, Dr. Ranjana Kumari is the Director of Centre for Social Research as well as Chairperson of Women Power Connect. Dr. Kumari has dedicated her life to empowering women across the South Asia region, and isalso a prolific writer of many well known publications. Dr. Kumari went to school in Varanasi, Uttar Pradesh. Her paternal grandfather, a freedom fighter, Pandit Vishwanath Sharma, was the founder member of the famous Kashi Vidyapith of Varanasi, which was the first modern University organised by Indians in British India. After finishing her schooling, she moved to Delhi and did her MA, M.Phil and Ph.D in Political Science from Jawahar Lal Nehru University. Mission for Empowerment of Women by the Prime Minister of India. Some of her most passionate causes have been the participation of women in democracy and governance, the termination of dowry practices and dowry related violence, and the abolition of female foeticide. In the past, she was a member of the Task Force on Industrial Relations for The International Labour Organisation (ILO) in Geneva and worked as senior professional at United Nations. Currently, she is a member of Global Safety Advisory Board of Facebook.